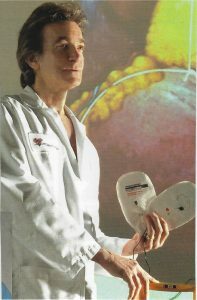 Dr. Gordon is the author of NO STORM LASTS FOREVER . . . TRANSFORMING SUFFERING INTO INSIGHT (Hay House 2012), a practical guide on how to overcome life’s fiercest challenges. Through personal trials of unthinkable magnitude, he has come to appreciate that everything in life is in perfect order. Even in the midst of what we might consider the worst circumstance imaginable, his profound insight empowers the reader to find solace in the chaos by “discovering beauty in the belly of the beast”. 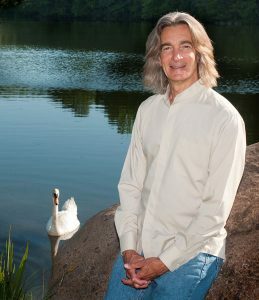 His expertise has inspired thousands dealing with trauma, pain, suffering and grief, helping them to embrace with gratitude and grace the gifts and hidden lessons adversity has to offer. Throughout his career, Dr. Gordon witnessed well over 1,000 deaths. Realizing that too many of his dying patients were ill prepared, he embarked upon a spiritual journey of his own in order to be better able to assist them as they approached passage to the other side of life. For many, this encouragement helped alleviate the greatest fear of all — the fear of death, allowing his patients to awaken to a greater understanding of their eternal nature. His insight and experiences appear in his new book, NO BEGINNING . . . No END A Cardiologist Discovers The Timeless Truth: There is No Such Thing as Death (2019), which shares with readers how to extricate themselves from the frozen shackles of fear. It reveals ways to soften death’s grip of terror. Dr. Gordon believes that when we face death head on, only then can we learn to truly embrace life. His book has been endorsed by many of his contemporaries including don Miguel Ruiz, Dannion Brinkley, Anita Moorjani, Larry Dossey MD, Caroline Myss, Rev. Michael Beckwith, John Edward, Joan Borysenko, Ph.D., Eben Alexander, MD, and Patch Adams, MD. Dr. Gordon graduated from Emory University with a B.A. degree in Psychology. After completing medical school, an internship, and an internal medicine residency, he received training in invasive cardiology at the world renowned Cleveland Clinic. He is board certified in both internal medicine and cardiovascular diseases and is a Fellow of the American College of Cardiology. 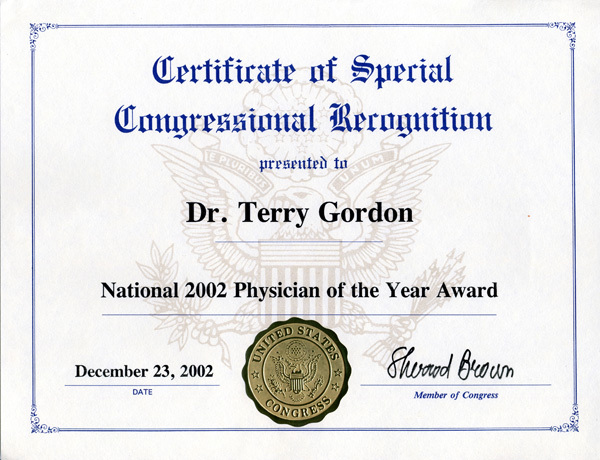 As an altruistic physician, Dr. Gordon has received numerous honors, including a commendation from U.S. Senator George Voinovich, a Certificate of Special Congressional Recognition by U.S. Congressman Sherrod Brown, and a commendation by Ohio Governor Bob Taft. In addition, he was honored with the Akron Police Department “Community Service Award”, the University of Akron “Honorary Alumnus Award”, the State of Ohio EMS “Star of Life” Award, inclusion in 108th U.S. Congressional Record and many others. 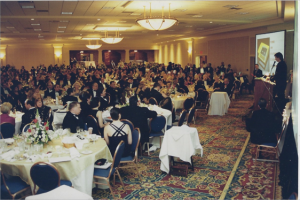 He was also the recipient of the prestigious Bert A. Polsky Humanitarian Award. One of his missions in life has been saving the lives of our most precious resource, our children. After the tragic death of Josh Miller, a 15-year old football player in his community, Dr. Gordon, as then president and a long-standing board member of the Summit County Ohio American Heart Association helped to raise the funds to place automated external defibrillators (AEDs) in every junior and high school. His community became the first county of its size in the nation to do so, and for his efforts, he was named The American Heart Association National Physician of the Year (2002). In 2005 and 2006, he was instrumental in procuring $5 million from the state of Ohio to fund the placement of over 4,500 AEDs in Ohio schools. This initiative covered the cost of an AED as well as the training of five individuals in each school in CPR and how to use AEDs. His initiative also aligned the schools with their local paramedic units. Over 15,000 individuals received this training. To date, more than 30 lives have been saved as a direct result of his initiative. 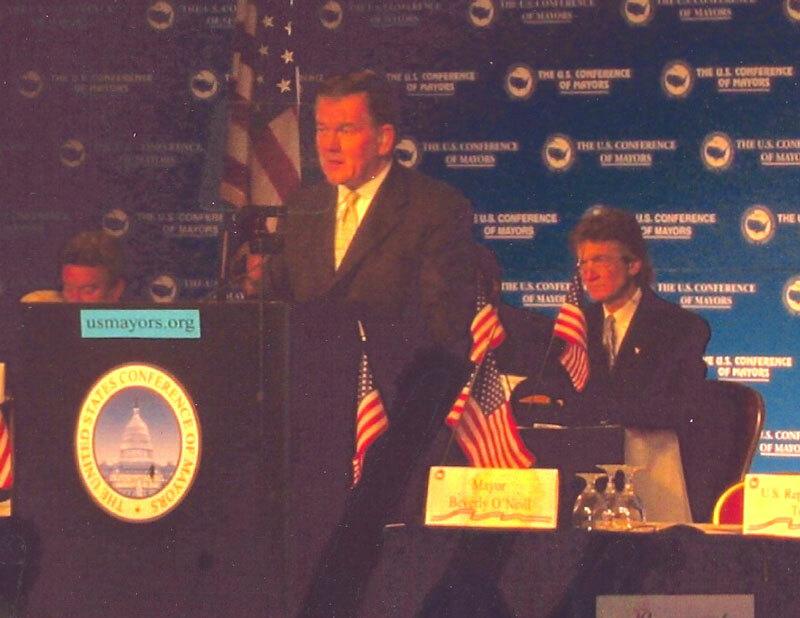 He also spearheaded a national campaign that resulted in legislation put forth by U.S. Congresswoman Betty Sutton to recreate the Ohio School AED initiative on a national scale. The Josh Miller HEARTS Act passed the U.S. House of Representatives twice. Dr. Gordon was very active within his community, serving on various volunteer boards. He was a founding member of Stewart’s Caring Place, a facility of wellness established for those individuals and families touched by cancer. As a member of The Youth Motivational Task Force, he mentored and encouraged inner city youth to aspire for greatness, encouraging them to manifest whatever they desire in life. Dr. Gordon’s persona has many facets. 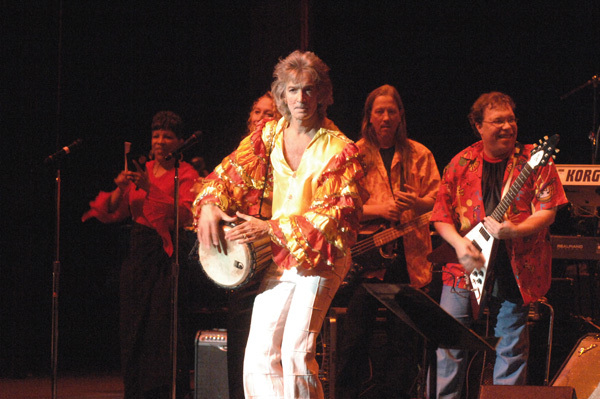 For a decade, he was co-host of the annual ‘Docs Who Rock’ fundraiser for the United Way. He revealed his trademark humor and musical talent by impersonating popular entertainers from Tina Turner to Barry Manilow, Michael Jackson, Rod Stewart, and even Lady Gaga! His sometimes off-the-wall antics on stage show that he doesn’t take himself too seriously. As a physician who regularly dealt with life and death, Dr. Gordon understands that life is precious and can change in an instant. His family experienced first-hand such a dramatic shift when his son, Tyler, was involved in an automobile accident in which he sustained a severe spinal cord injury that left him paralyzed. Leading his family through the darkest of times, Dr. Gordon’s journey resulted in a spiritual awakening. He learned that when adversity comes our way, it is how we respond to the difficulty that determines who we become. Inspired by his dear friend, New York Times bestselling author Wayne Dyer, Dr. Gordon released his debut book NO STORM LASTS FOREVER: Transforming Suffering Into Insight. Within its pages are profound lessons that help the reader overcome adversity by recognizing the “gift” hidden within. He encourages us to embrace a new perspective of gratitude and to make a conscious choice by using calamities and difficult challenges in order to benefit our own spiritual growth and enlightenment. An Amazon international bestseller, which was also translated into Korean, Dr. Gordon now travels nationally sharing his knowledge and the insights revealed in his inspiring title. As an inspirational speaker and educator, Dr. Gordon shares his authentic wisdom on topics such as overcoming adversity, grief and bereavement, illness, trauma, as well as death and dying. He is highly sought after for his compelling presentations. 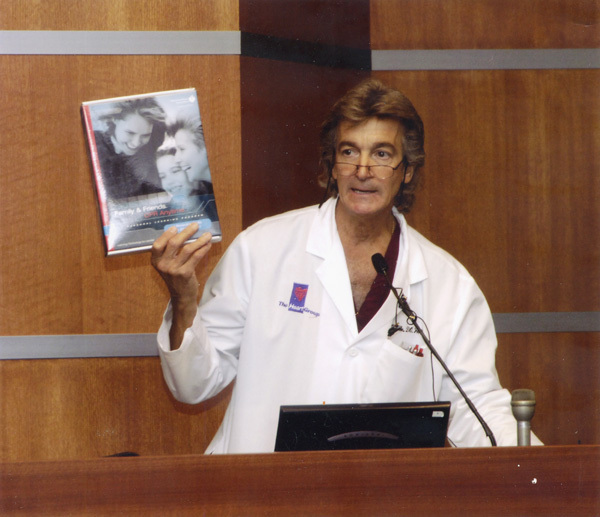 He has appeared before many notable organizations and non-profit groups including: Hospice, TEDx, Dr. Wayne Dyer’s Maui Retreat, Cleveland State University, Cleveland Clinic Akron General, Hay House Writers’ Workshop Cruise, University of Akron’s Speaker Forum, Barnes & Noble, University Hospital’s Connor Integrative Medicine Network, “Heal The Healer” Symposium, Jamaica Public Service, The Center for Mindful Living (Chattanooga, TN) and many more. A devoted husband and father, Dr. Gordon puts family first. He shares his life’s journey with Angela, his wife of 39 years, whom he considers a guiding light that continues to illuminate his life on this earth. He is the proud father of four children, Mattie-Rose, Laila, Britt, Tyler and his grandson, Gio. Now retired from the practice of cardiology and the curing of disease, no longer is he “fixing” physical hearts. Instead, Dr. Gordon’s work continues on a much higher plateau as he participates in the healing of hearts, something that occurs on a deeper, more spiritual level. It is from this place of higher awareness that he shares with us his insight into what we all desire . . . Peace, Shalom, Shanti and Salaam. 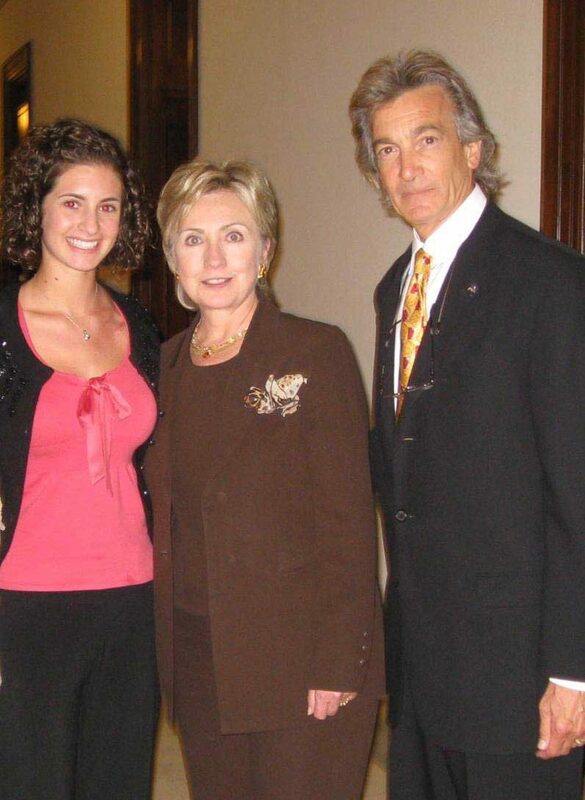 Leah Olverd, sudden cardiac arrest survivor with Dr. Gordon and Senator Hillary Clinton lobbying for the Josh Miller HEARTS Act. Dr. Gordon with a young lady saved by an AED! 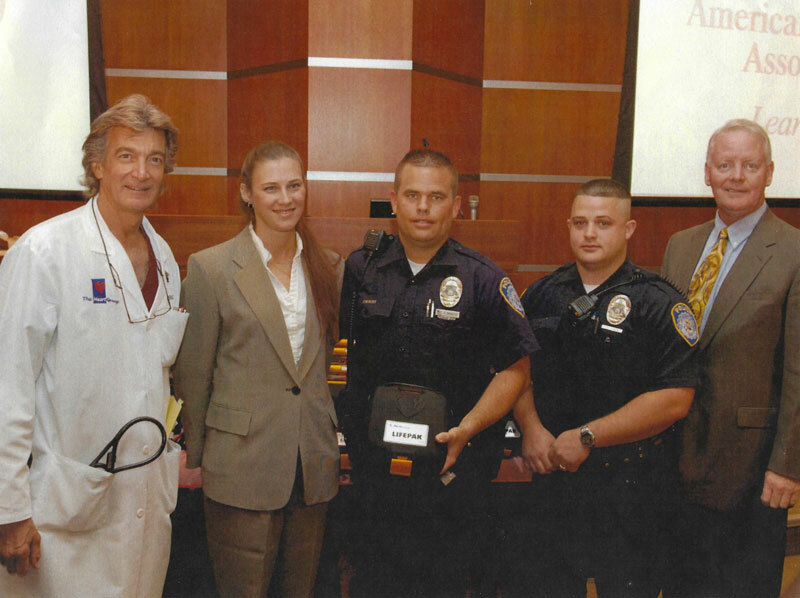 Part of fundraising effort and initiative Dr. Gordon spearheaded to have AEDs placed in Police, Highway Patrol, and Sheriff’s vehicles in his community. 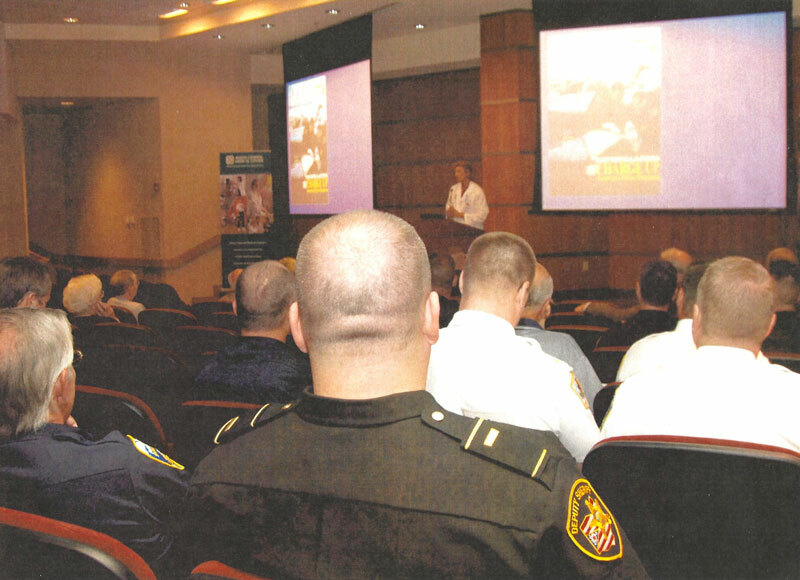 Dr. Gordon educates local police officers and sheriff deputies about the AEDs being placed in their vehicles. 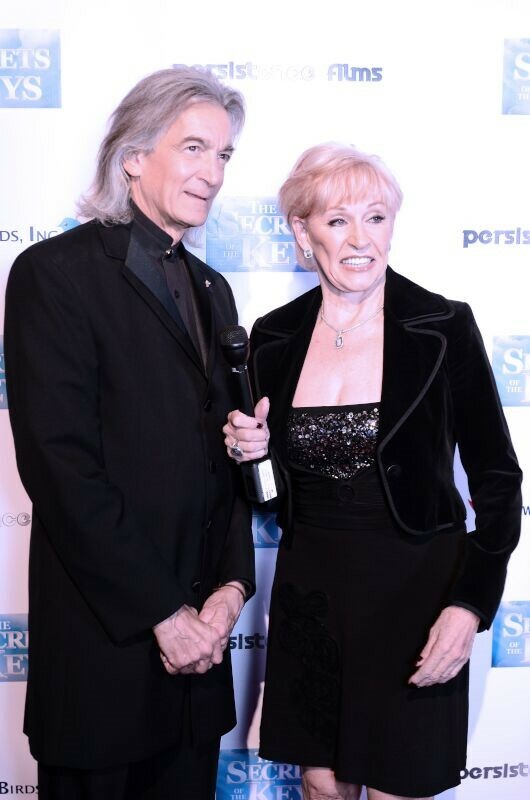 Dr. Gordon at the premiere of The Secret of the Keys film. 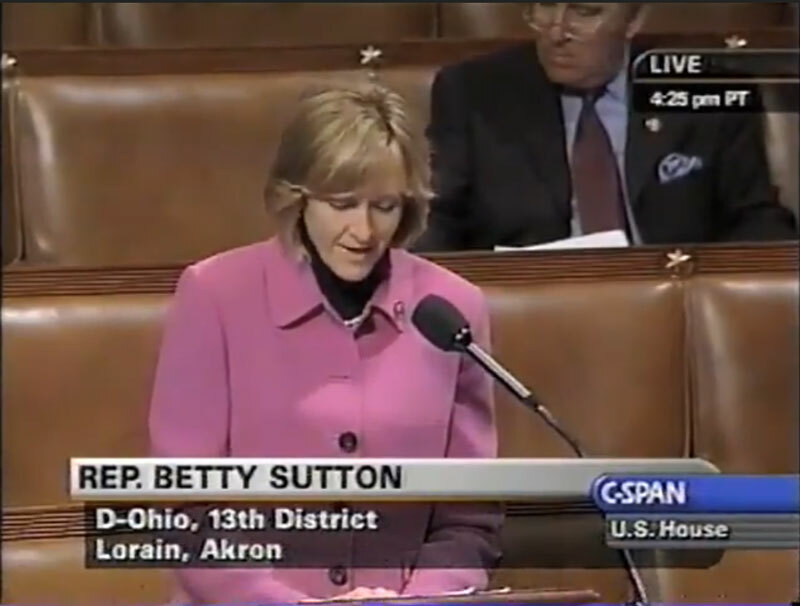 Congresswoman Betty Sutton Recognizes Dr. Gordon for his Humanitarian efforts on the House of Representatives Floor. 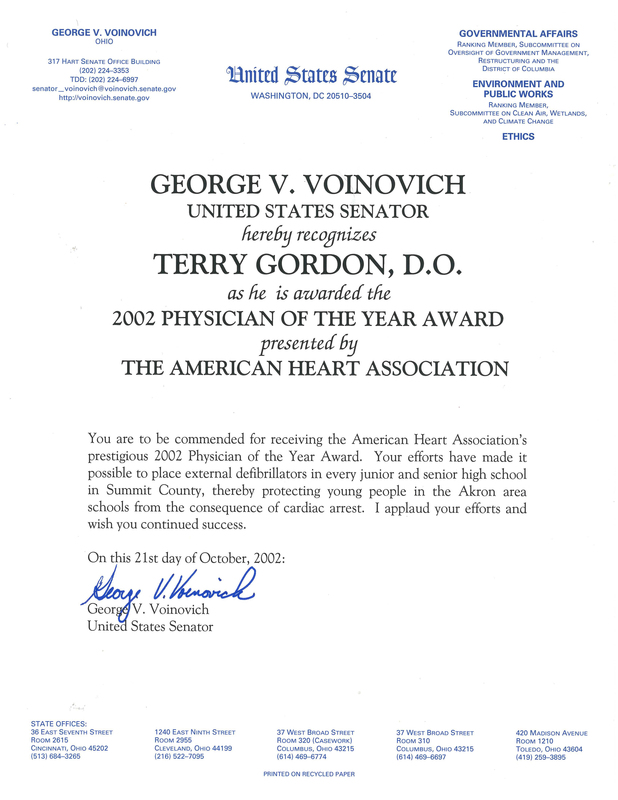 United States Senator George Voinovich Commends Dr. Gordon on his AHA designationation as National Physician of the Year.